BENTONVILLE — For the second week in a row, Bryant’s Caivon Crosby set a school record in the one-meter dive, earning a score of 363.15 to play fifth at the 7A-6A State swimming and diving championship meet on Friday and Saturday. In the team competition, Crosby and the Hornets finished ninth among the 16 teams. Little Rock Central finished first followed by Conway. 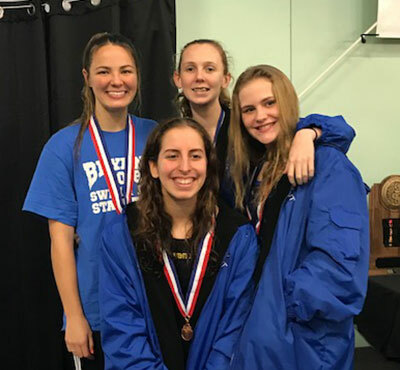 In the girls’ team competition, Bryant was 12th, led by the 200-yard freestyle relay team of Lara Kockaya, Kayla Vaughan, Ella Reynolds and Jessica Butler, which whittled a full second on its best time. Fayetteville won the girls’ title with Central second. Crosby was joined by Donte Baker, scoring for the Hornets in the one-meter dive. He placed 10th. The Bryant Lady Hornets’ 200-yard freestyle relay team of Jessica Butler, Kayla Vaughan, Lara Kockaya and Ella Reynolds. The Hornets’ top finish came in the 200-yard medley relay where Alex Ball, Gavin Miller, Michael Higgs and John Dellorto finished eighth. In the 200 free relay, Carson Edmonson, Hagan Austin, Dellorto and Higgs finished ninth, finishing 1.80 seconds better than their best previous performance. In the 400 free relay, Austin, Cameron Loftis, Dellorto and Edmonson finished 14th. 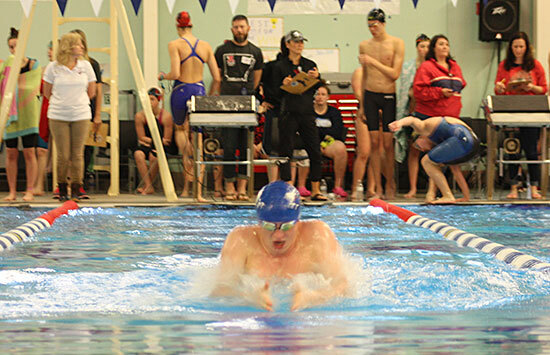 Individually, Higgs was 11th in the 100-yard breast stroke and 12th in the 50-yard freestyle while Ball placed 18th in the 100-yard backstroke. For the Lady Hornets, Reynolds was 10th and Butler 11th in the 50-yard freestyle. Kockaya finished 16th in the event. In addition, Butler was 13th in the 100 free. 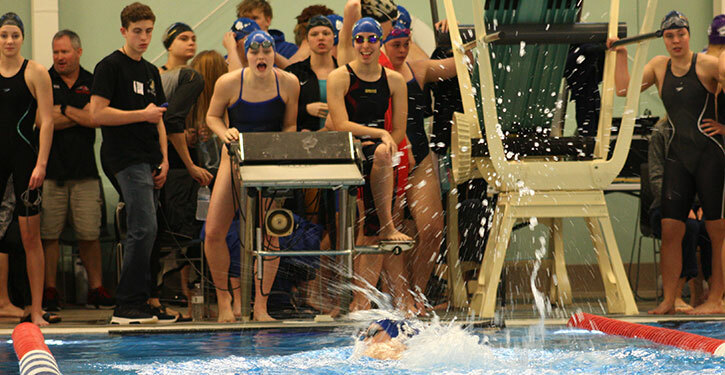 In the relays, Taylor Wilson joined Kockaya, Butler and Reynolds on the 200 medley relay, which was 11th. Wilson, Vaughan, Kockaya and Reynolds combined to place 11th in the 400 free.